England has an ancient heritage of earth buildings and it has well funded bodies whose main focus is the preservation of this heritage. ICOMOS UK (International Council of Monuments and Sites) and English Heritage produced a study of earth building traditions in Great Britain and Ireland titled “Terra Britannica” in 2000. They were also the main supporters of “Terra 2000”, an international conference focussed mainly on the preservation and repair of old earth structures. An old earth wall in Great Easton, Leics. A leaking roof has allowed erosion so the wall is becoming unstable. "It is not uncommon for thatch roofs to have been removed and replaced by slate, tile or wrinkly tin. The new roof fails to provide the same overhang as the thatch. Consequently more rain contacts the surface of the wall, eventually causing local saturation, resulting in cracking or partial collapse, especially in the areas of roof or floor beams. These conditions can be aggravated where tiles or slates are missing. Once cob reaches saturation level it moves through the plastic stage quickly and slumps dramatically, resulting in extensive collapse." 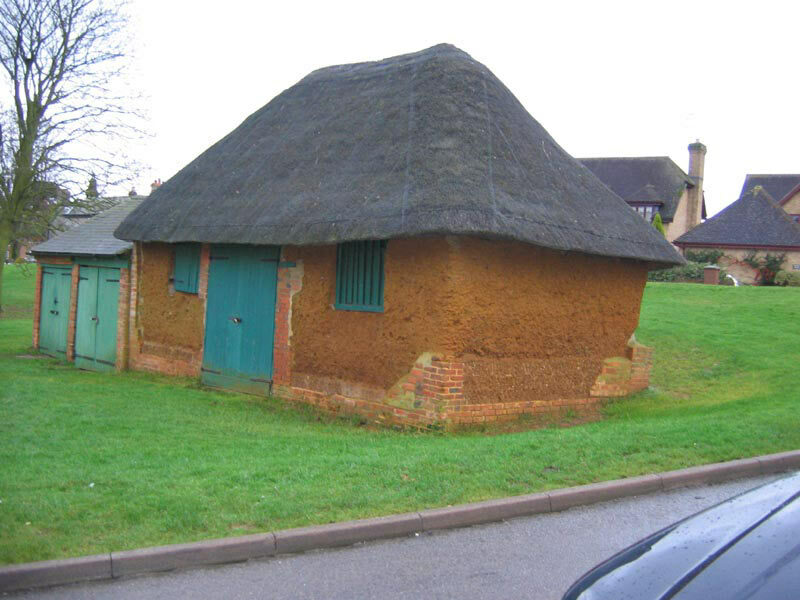 A small unstabilised earth building on the village green in Guildsborough, Northants. 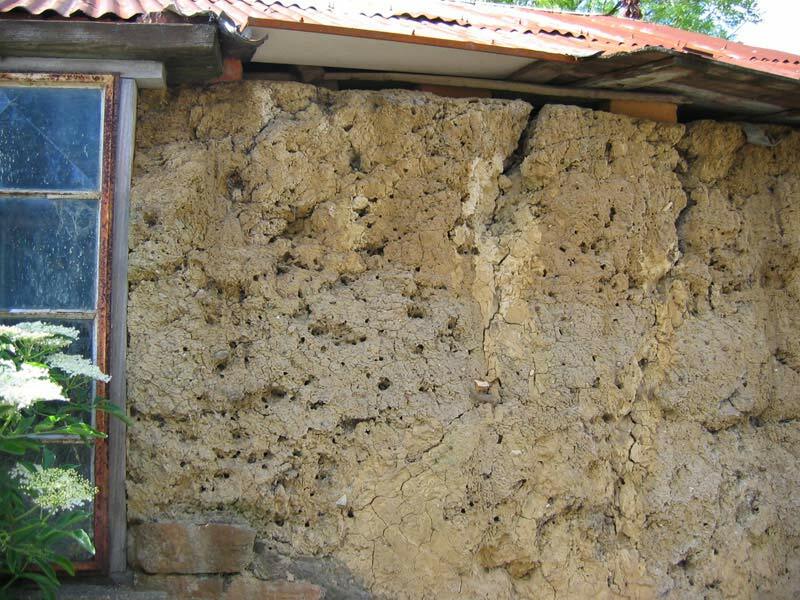 Centre for Earthen Architecture, Plymouth University - started out with research into how the moisture content of mud walls affects their strength. 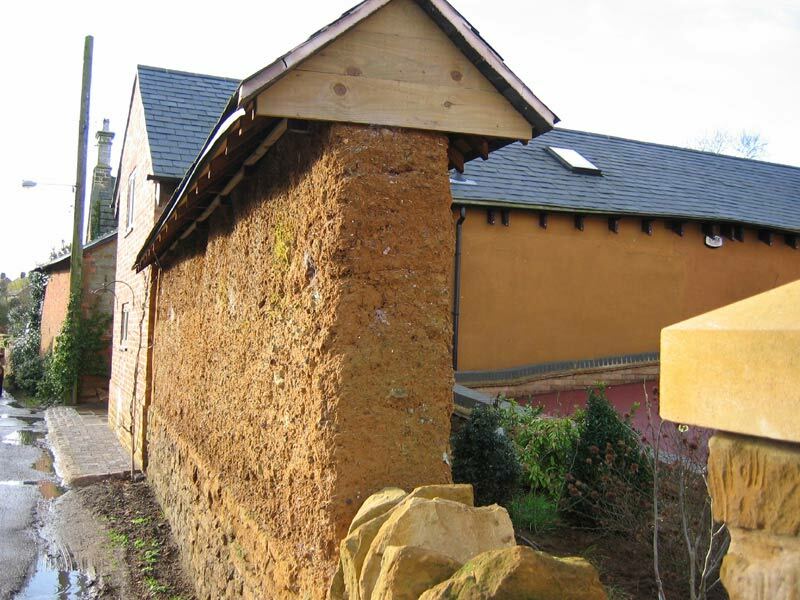 This research was needed due to the high demand for advice on the large number of earth buildings with damp-related faults in Devon and surrounding areas. These groups have conducted surveys and try to promote awareness of historic earth buildings in their respective areas, e.g. attending country fairs, open days on historic buildings and reconstructions. This interest in traditional practices and conservation of historic earth buildings has resulted in a number of specialist practitioners developing old skills. The Retro movement has been inspired by people like Alfred Howard in Devon, who used to build traditional mud cottages in 1930’s then reintroduced it to the next generation in 1984, e.g. Kevin McCabe (got involved through EH) - built a mud bus shelter. This was credited with being the first earth building in Devon for over 50 years. “Proper conservation can only occur by raising the status of the material by promoting new build” - Dirk Bouwens. The enthusiasm of the researchers and practitioners for the ‘old ways’ has now grown towards actually promoting these as modern building methods. It is widely acknowledged that high-strength, modern cement materials are highly unsuitable for most historic building applications as they are incompatible with the level of movement and moisture penetration that has to be considered by conservators. Unfortunately this has led to an irrational & aggressive campaign aimed towards eliminating the use of cement in modern masonry walls. However, this approach is proving counter-productive; without a sustainable alternative to the cost-effectiveness of cement it is unrealistic to expect attitudes in the construction industry to change. The principle of lowering standards in construction and promoting historic techniques as the future of sustainable building is misguided. Modern sustainable building materials must be cost-effective, quick to build, and capable of competing with the more conventional alternatives such as bricks and concrete block. Old earth walls incorporated into modernised old buildings. 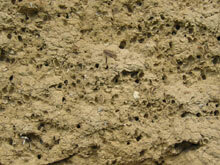 Although fitted with extended eaves, surface erosion is occurring. The Earth Centre at Doncaster, now sadly closed, was an early setback for the promoters of the old ways of earth building in England. Forecast as a great public attraction showcasing sustainable ideas, the designers were considering using Australian earth builders to construct the walls for some of the main buildings. But this approach was criticised because the walls would contain a small percentage of cement. Unstabilised rammed earth was aggressively promoted but efforts were severely impeded by uncertainties over material suitability combined with very little evidence to show this method was actually feasible for a modern public building. Ultimately, this idealistic campaign was counterproductive; it resulted in the contractors using standard concrete and abandoning earth construction altogether. This type of bickering between different factions of the environmental building movement does not help either cause and must contribute to the slow progress of all forms of earth building in the UK. Only about a dozen earth buildings have been built in England in the last decade, half stabilised and half unstabilised. Until the supporters of the different codes of earth building can accept that each has a place in the market and a type of client who will value the qualities that their code offers, then the more important job of building sustainable buildings will be greatly hampered. The Centre for Alternative Technology have built an attractive unstabilised rammed earth wall in their new bookshop, but made sure that it is not exposed to any weather as it is an internal wall in a timber building. They have also clad it in Perspex to ensure the public do not touch it. The Eden Project has an unstabilised rammed earth wall on one side of the visitors centre, built by Rowland Keable. This ran well behind schedule during construction and the main contractors said they would not wish to repeat the experience. Despite being protected by an extended roof the wall is suffering severe erosion from the weather. 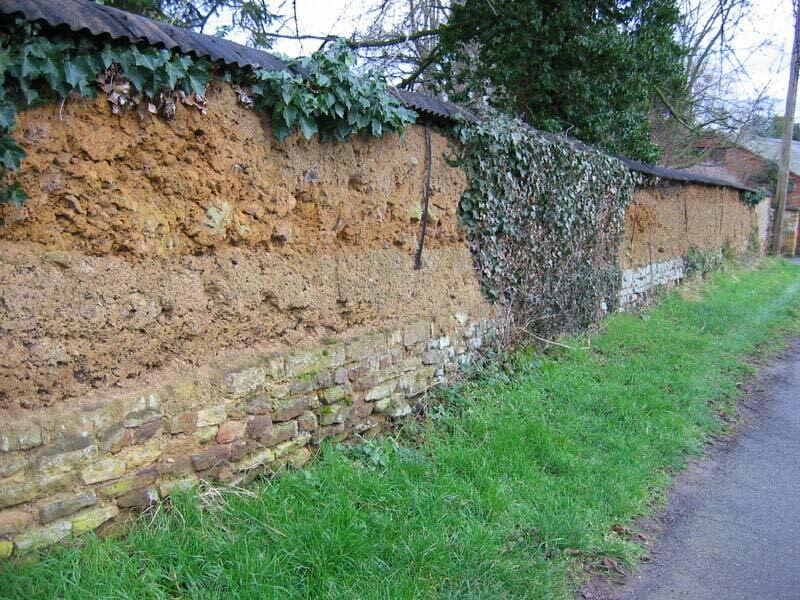 Dirk Bouwens, Secretary of the East Anglian Earth buildings Group in the article ‘Earth Buildings and Their Repair’ for the Building Conservation Directory 1997, stated: "The strength of (unstabilised) earth walls is proportional to their moisture content. At a moisture content of 13% of its dry weight the strength of the material falls to a point where it can no longer resist the pressure exerted by an average wall (c.0.1N/mm2). At this level the wall may collapse." Ancient Practices still thrive today in third world countries where materials such as cement are prohibitively expensive. The traditional technique of hand rammed earth was promoted in Zimbabwe by Julian Keable and his son Rowland. They empowered the poor to build their own mud buildings and shelters. Now, Rowland is also working in the UK and has built nearly half a dozen traditional earth structures to showcase the way that our ancestors used to build with earth in this country. 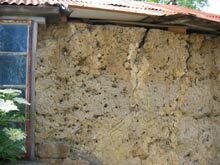 As with all re-enactments of tradition that are faithful to their origins, these traditional earth walls are expected to slowly wash away, crack and crumble just as they would have done hundreds of years ago (e.g. Eden Project). 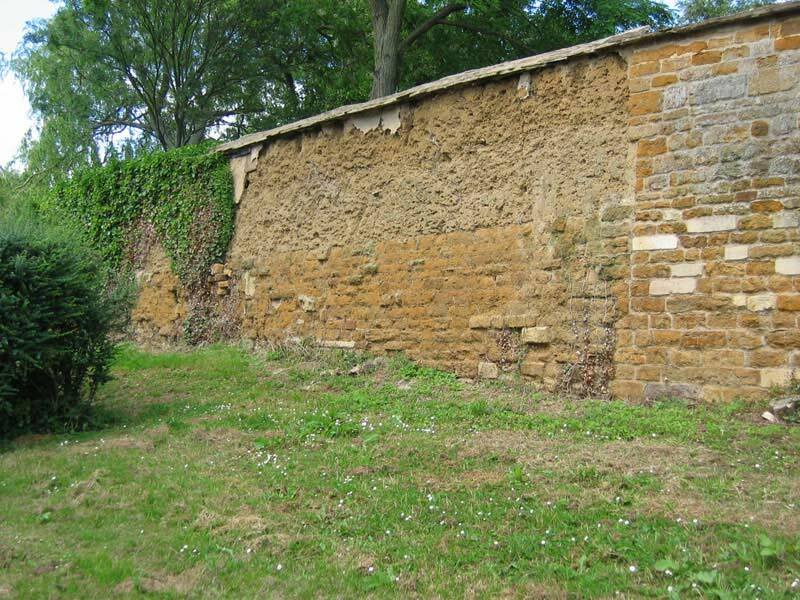 This gives a very ‘natural’, rugged appearance complete with bulges, distorted openings and authentic leanings walls - these traditional, natural earth walls really look as though they were built 200 years ago! The demand for this tiny cottage industry is slowly growing, particularly in rural areas where the ancient tradition originally flourished. 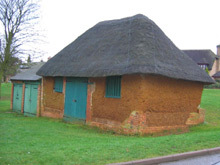 In 2004 the DTI even funded a research project, conducted by Dr Peter Walker (University of Bath) & Rowland Keable, to investigate the further potential of this ancient technique for use in authentic reproduction historic housing. 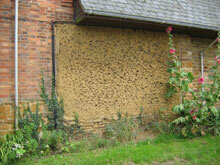 The project was called “Developing Rammed Earth Walling for UK Housing”. 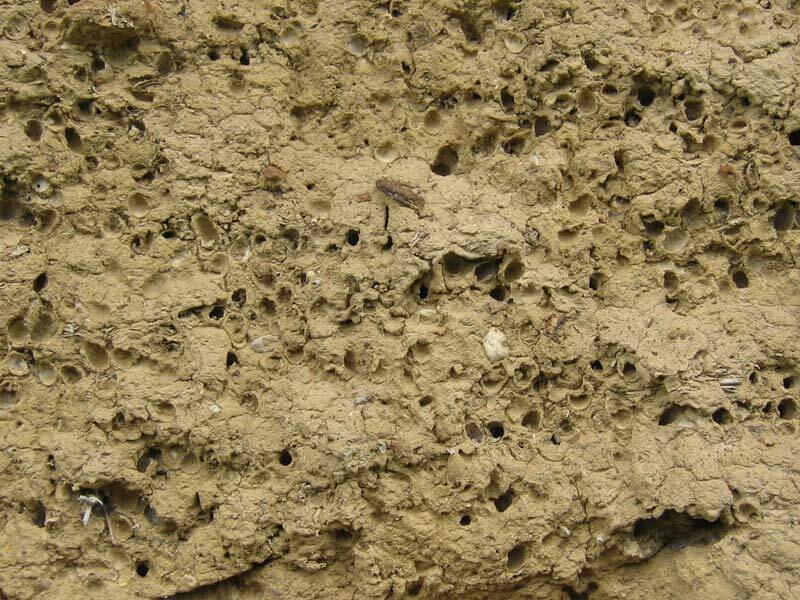 The project included a case study building project called the Bird in Bush Centre, which used the unique skills of Rowland Keable to produce authentic ‘natural’ earth walls. not trasmit moisture due to rain (or snow) to another part of the building that might be damaged"
Cited in: Hall M & Djerbib Y, 2005, "Moisture Ingress in Rammed Earth: Part 3 - Sorptivity, Surface Receptiveness and Surface Inflow Velocity". Construction and Building Materials. 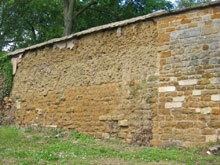 Typical old village walls in the Leicestershire/Northamptonshire earth building belt. Close up of insect infestation common in these walls.